Tau Beta Pi engineers making extraordinary contributions to create a better world. 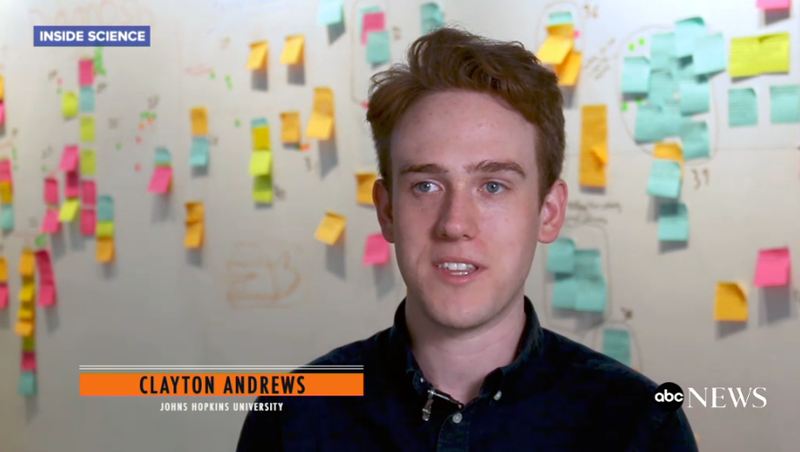 ABC Inside Science profiled AssistENT and it’s co-founder Clayton E. Andrews, MD A ’17. The company is working on a stent breathing aid. The device was created by several undergraduate biomedical engineering Johns Hopkins University students. Click here to watch the video and read more about the device. Tsu-Jae King Liu, Ph.D. (CA G ’84), is Dean of UC Berkeley’s College of Engineering. Dr. Liu began this position in July 2018. She was recently interviewed by Engineer Girl (from NAE). According to the announcement, she has experience in academia as an instructor, researcher, and administrator. Her three electrical engineering degrees were earned at Stanford University. A search is underway for an inaugural position at the level of associate or full professor in electrical engineering with the possibility of tenure at California State University San Marcos (CSUSM). The position will be available starting August 2019 and remain open until filled. See the job posting for more details on minimum qualifications, duties, and information on CSUSM.